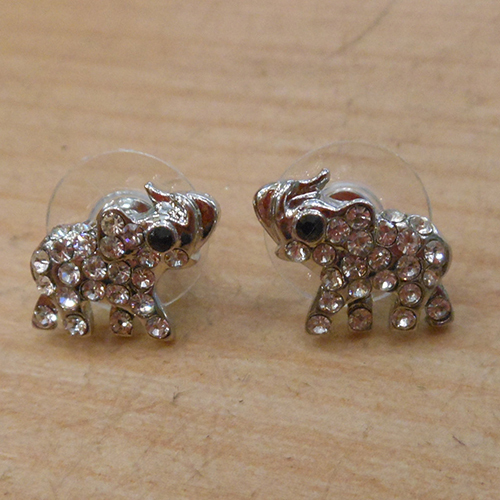 These elephant earrings are so cute! 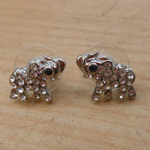 The elephants are covered in clear rhinestones, with a silver toned background. There are even tiny black rhinestones for their eyes. The earrings have round metal backs for comfort, and they measure just about 1/4 of an inch long.